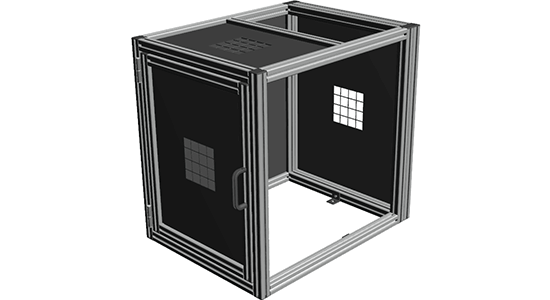 MB Kit Systems excels in designing and constructing custom application machine enclosures. 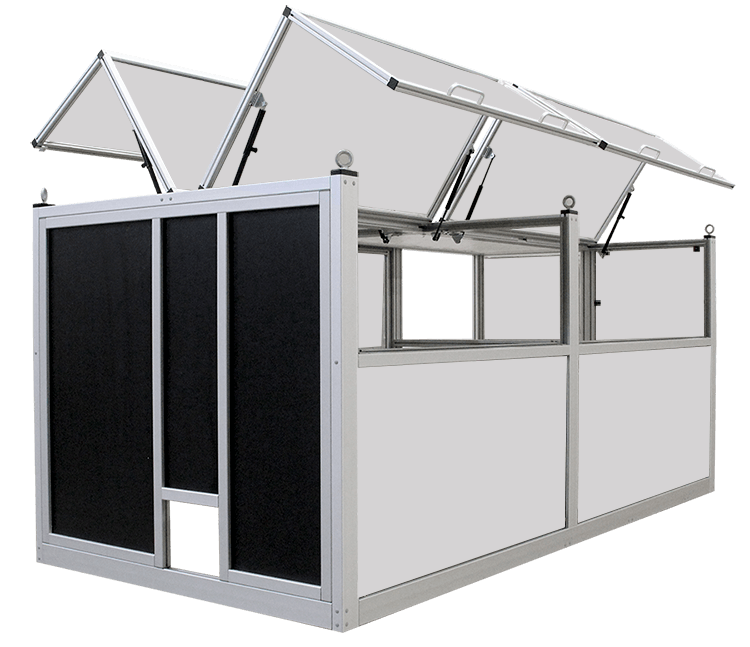 Our in-house stock of several panel materials includes aluminum sheet panels, polycarbonate, and a variety of other plastics. 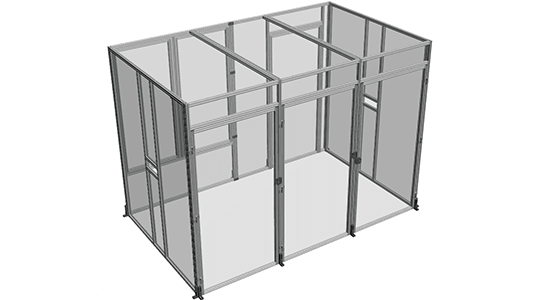 Additionally, a variety of aluminum and steel mesh is offered to be built into your enclosure project. 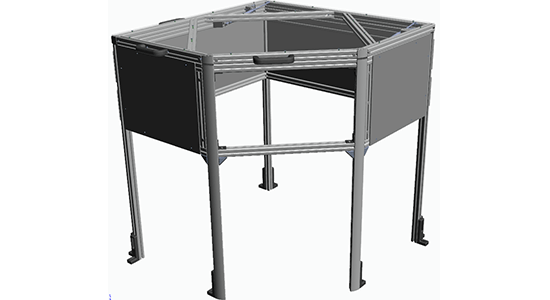 Fast turnaround build times are ensured by custom machining all enclosure panels in-house with a CNC router, a vertical CNC, and utilizing our expert assembly technicians to build the complex custom solutions. 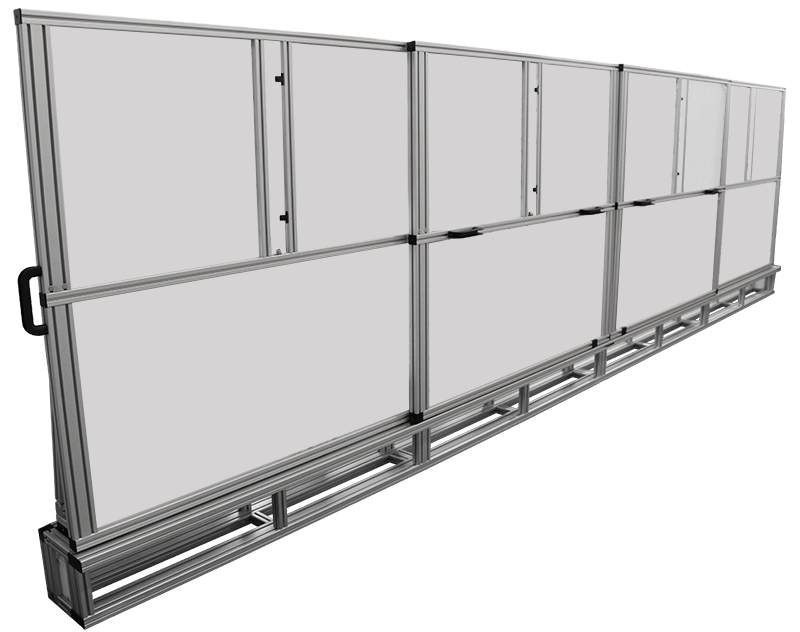 Working with our entire product line and a variety of panel materials available, we have the resources and capabilities to provide a precise solution for most safety enclosure applications. The extensive set of components including hinges, handles, panels, floor elements and locks ensure we’re able to design easy and safe access as needed. Are you looking to protect your equipment and employees? Enclose your machines with a safety barrier. 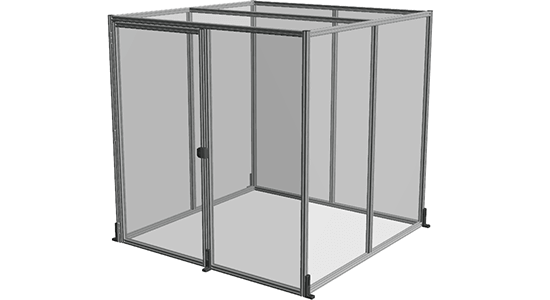 Don’t settle for standard enclosure sizes or configurations. Maximize productivity by minimizing machine downtime with custom machine enclosures designed for your application. With safe and easy access only where needed, worker injury can be minimized. 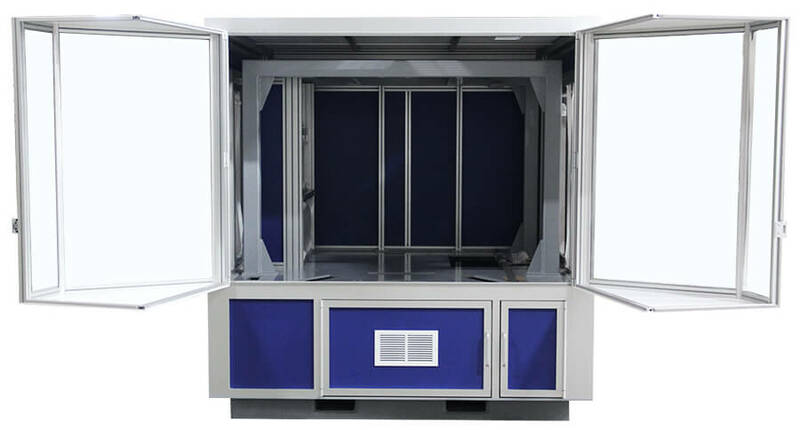 Long-term benefits of the modular system allows for machine enclosures to simply be disassembled and reassembled with workflow updates as needed. 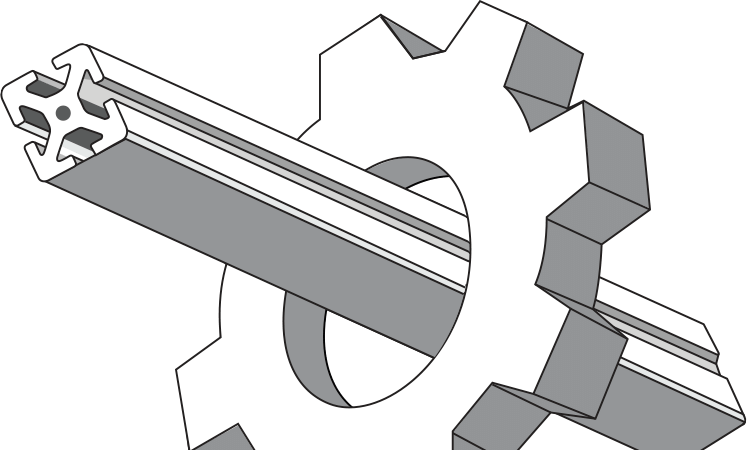 This flexibility of design allows for machines and workflow processes to grow with innovations over time. 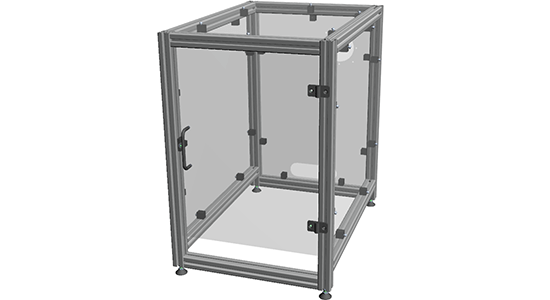 Dividing enclosures are ideal barriers to protect users from manufacturing equipment. 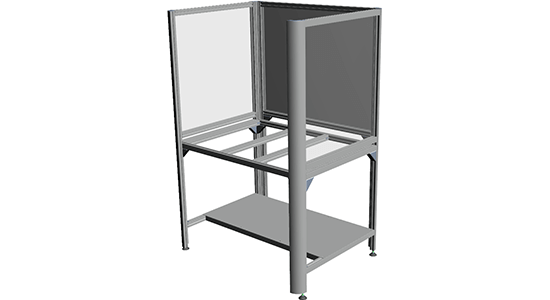 Enclosures are capable of being mounted directly to customers' existing equipment or the option of being free-standing using any one of MB Kit floor element components. Sliding, vertical, or lift-off doors can be implemented into your project to allow for safe entry points or to create access points. 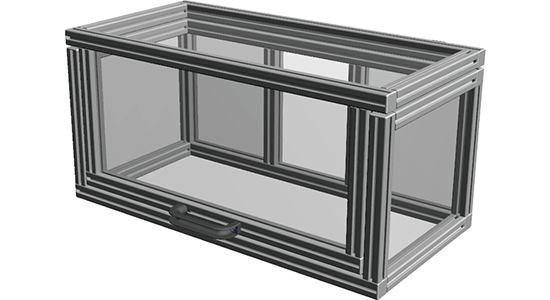 Popular alternatives for dividing enclosures include modern-day office usage. Cubicles, conference rooms and other settings are created with polycarbonate panels engineered to be assembled to represent an office space. 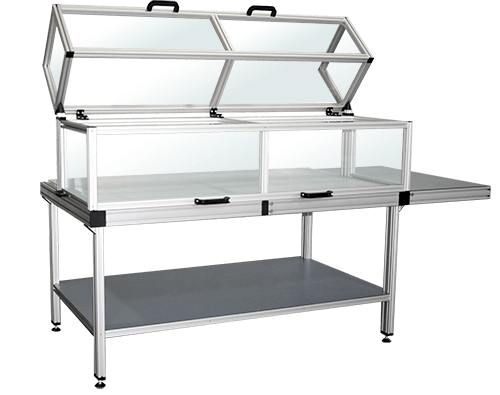 Mobile enclosures provide the option of transporting your machinery or equipment freely. 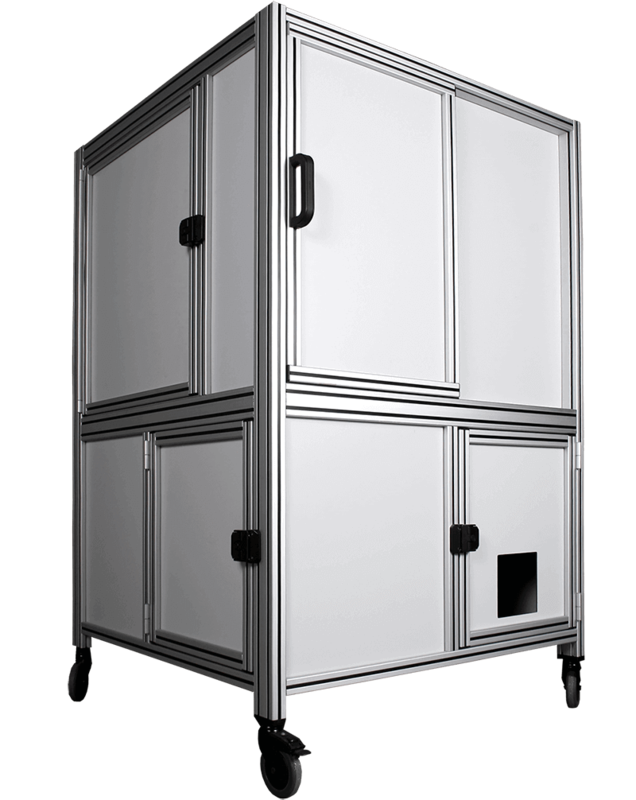 With various panel and foot element component choices to choose from, your equipment will be protected regardless of its location.